Can the Proverb Interpretation Test Screen for Dementia? "It's no use crying over spilled milk." This proverb can be interpreted as a way of reminding someone (or ourselves) that once something happened, we can't change it so it doesn't help to continue to be upset about it. It already occurred and focusing on the event or situation won't change anything about the outcome; therefore, moving on mentally or emotionally may be the best strategy. 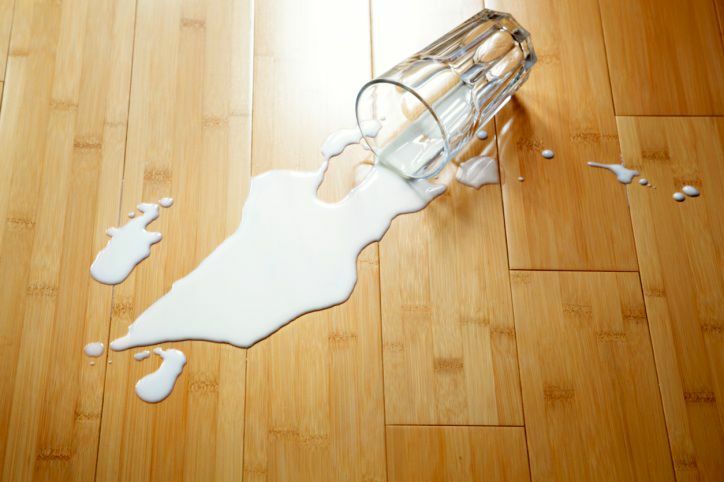 You shouldn't cry when you spill milk; just clean it up. How Is Proverb Interpretation Affected by Dementia? Proverb interpretation is often impaired in the early stages of dementia and is considered by many researchers to be a good measure of executive functioning. One study was specifically designed to evaluate that association and found that proverb interpretation was indeed strongly correlated with executive functioning, which is often impaired in different types of dementia. Another research study examined the ability of 66 people to interpret proverbs and found that in early Alzheimer's disease and in amnestic (memory-related) mild cognitive impairment, the participants' ability to interpret proverbs was significantly impaired compared to those with intact cognition. A third study measured the ability to interpret proverbs for 69 participants with dementia. The researchers found that the more progressed the dementia was, the less the persons were able to correctly understand and explain the proverbs. One other study compared the ability to interpret proverbs in people with Alzheimer's disease and behavior variant frontotemporal dementia (bhFTD) and found that while Alzheimer's disease affected this ability, people with bvFTD (also called Picks' disease) demonstrated significantly higher impairment in proverb interpretation. Multiple other studies also found that dementia correlated with increased difficulty in interpreting proverbs, likely because proverb interpretation requires the ability to think abstractly, a higher level in cognitive processes. Is There One Specific Proverbs Interpretation Test? There are multiple cognitive tests that include sections on interpreting proverbs. Some tests include just one proverb and ask the person what is meant by a particular proverb. Others, such as the Proverb Interpretation Test, involve 10 different proverbs and ask the person which response is the correct interpretation for each proverb. The Gorham Proverb Interpretation Test is also used by some clinicians to evaluate for dementia, in addition to other screening tests. Multiple studies found that proverb interpretation can be affected by education level as well as cultural familiarity, so it's important to take these factors into account when using this tool as a screening test for mild cognitive impairment or dementia.